If you feel you a suffering from a loss of hearing then come and see one our hearing experts who can give you a completely free hearing test. No matter the severity of your condition or how long you have been feeling the effects, we can help you. We will find the root cause of the problem and, if necessary, find you the perfect hearing aid. Dove Hearing are a family run business with over 40 years of experience at our disposal to give you the very best service. Here at Dove Hearing, we utilise the very latest in hearing technology and have state of the art facilities to perform the very best hearing tests possible. Our hearing centres are completely unrivalled when it comes to hearing problems. We offer this service free of charge. Should you need hearing assistance we offer an extensive range of hearing aids from brands such as Phonak Lyric, Widex, Starkey, Oticon to name just a few. 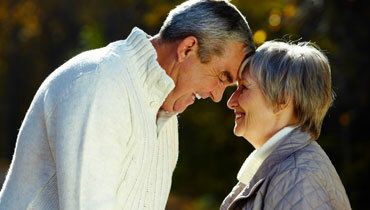 In addition, we have every type of hearing aid available including the very latest in invisible hearing aids. Starting from £599. If you feel you need a hearing test, then why not book one today? It’s completely free and well worth the visit. You can visit any of our hearing centres across Staffordshire to get your hearing test today. We really can help and getting your hearing back can totally transform your life. Our clients are often amazed with the results. If you would like to know more then get in touch with us today on 01543 262670 to book your hearing test.